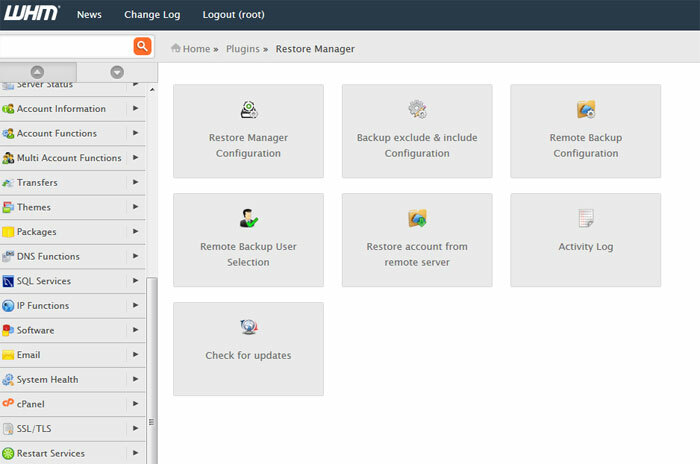 All those who do not know Restore Manager is a cPanel plugin designed to enable cPanel users to browse backups and restore specific items from the backup in a real-time. And to all our existing customers, Thank you for your patience and we think it was worth the wait. 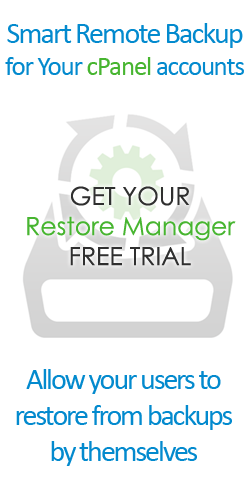 What’s New in Restore Manager 4? A new improved core and backups browser that will help your cPanel users quickly restore from “Remote Or Local Backups” in the easiest possible way. 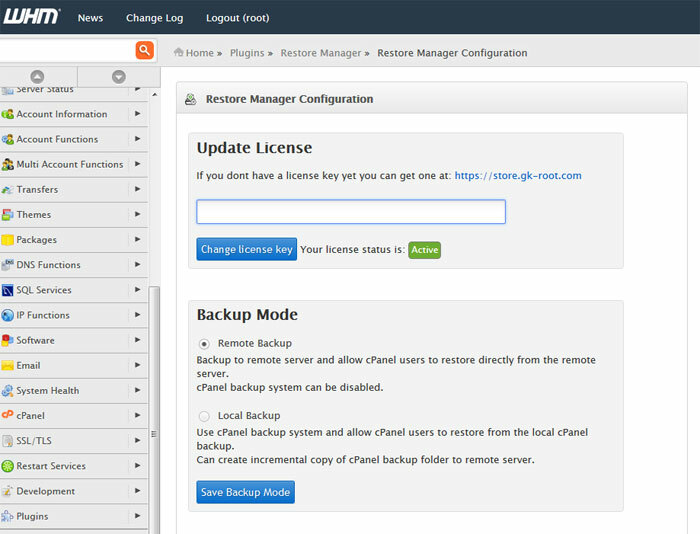 In cPanel side we add the options to restore Mail Forwarders and Domain Aliases. Within the Restore Files feature we add the option called “Trash” which allows to keep a copy of the existing file as a possibility to go back. New smart remote backup that keep your backup copies in form of snapshots that based on changes only to save disk space on the remote backup server which also includes the option to add extra folders to the remote backup. The most important upgrade is to allow working with a remote backup server only! 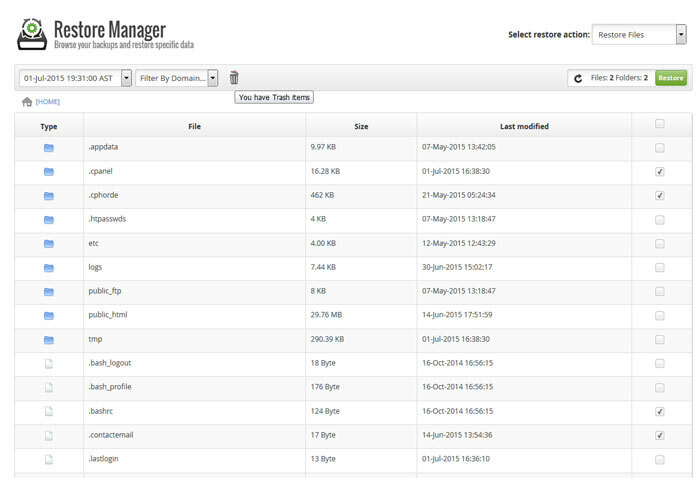 and eliminate the need for keeping local backups And along with it came a lot of new, great and very useful features. When we will release the stable version? 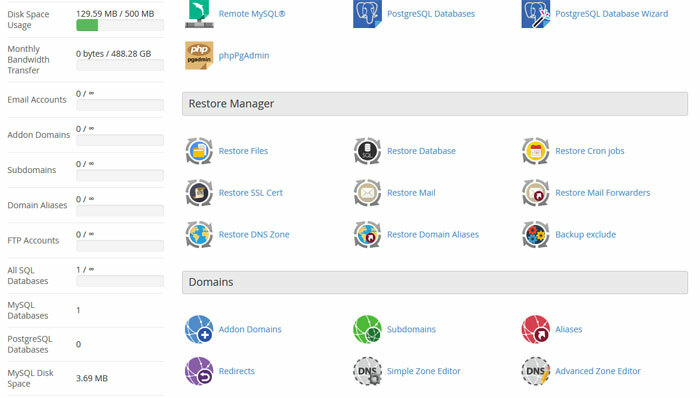 Restore Manager 4 is ready to work on cPanel & WHM side but we prefer to wait for few more days to receive more reports from our Beta group so we will be able to release a stable version at the highest quality level for you And we believe that in a week from now we will be able give you an exact date of the stable version release.